Give your child the most magical birthday experience imaginable. We will create the perfect Frozen birthday party for your little one. We can provide the entertainment, food and party bags and you can tailor the whole day to cater for your exacting needs. With packages starting from only £10 per child* book now to ensure you have a very happy little Prince or Princess on their very special day. Princess (/Prince/Olaf) Training (princess lessons (includes manners, dancing, princess behaviour) where the children will learn the secrets of how to become a real Princess! A few of the pupils with their certificates! 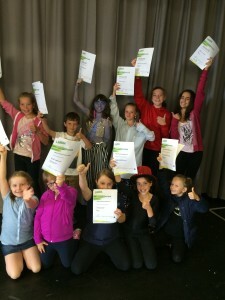 Little Voices Blackburn performing arts school has helped students in Blackburn to achieve outstanding results in this year’s London Academy of Music and Dramatic Art (LAMDA) examinations. In June, 156 children took exams in grades 1 – 8 with over 86% achieving a distinctions and merits, and yet again, Little Voices has maintained its outstanding 100% pass record. The students ranged from aged 4 to 18 years old. Little Voices focuses on expert guidance and traditional teaching methods in singing and acting, delivered in small group lessons to maximise student development. 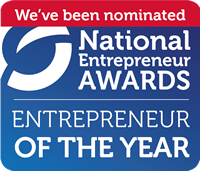 Principal, Jane Maudsley commented: “We are thrilled that our students’ talents have been recognised through these amazing results and are so proud of all of them. It is always rewarding to be part of an organisation that helps students to achieve their ambitions,” she said. Little Voices in Blackburn has been running since September 2007 during which time Jane Maudsley has trained students in drama and singing, helping them to achieve consistently impressive LAMDA results. In which time over 1357 exams have been entered. This week’s past pupil profile features Mary Fulforth. We asked Mary lots of questions and it is so interesting to hear what path she is on now! The Stage was not where she wanted to be but Little Voices helped her with so many life skills that prepared her for her career as a physiotherapist! I graduated from Northumbria University July 2013 with a BSc Hons in Physiotherapy. Then I went to France for 4 months in the alps, over winter, doing a ski season – which was amazing. And now I’m back home in sunny Lancashire working as a full time junior physiotherapist in East Lancs and I’m really enjoying it. I’m planning on staying in this job for the next couple of years, then I really hope to jet off again to experience some other parts of the world & who knows, maybe work as a physio somewhere in the world. I do believe I was one if the first people to join Little Voices back in 2007. I stayed for the next 3 years achieving Grade 8 with a Distinction. It has most definitely made me a more confident person in all aspects of my life. I loved lessons every Tuesday night, full of fun, laughter & doing something that we all enjoyed so much. I would say to anybody, even those who aren’t confident enough to join a school play or sing or speak in public, to join Little Voices. I certainly wouldn’t have been in 3 of my school’s musicals had I not gone to Little Voices. 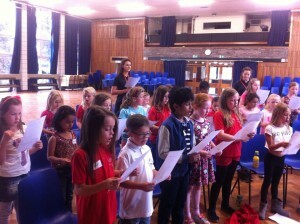 West End Musical Director trains Little Voices pupils! West End Musical Director and LAMDA examiner, Andrew Keir, came all the way to Blackburn to train Little Voices stars of the future. 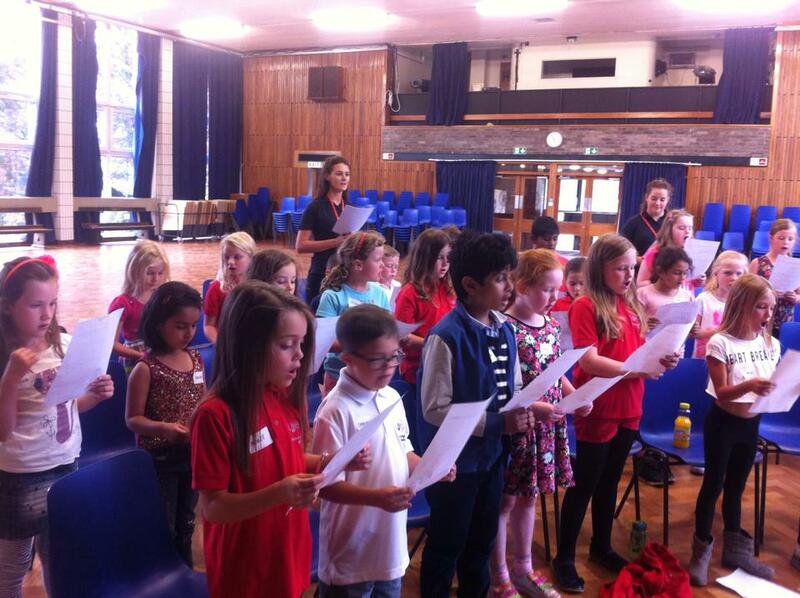 On Tuesday 5th September 2014 , all the students, aged between 4 and 18 from the Little Voices Blackburn performing arts training school, enjoyed a very special workshop in Acting through Song by the West End Musical Director of Les Miserables, Phantom of the Opera and Oliver, Andrew Keir. As all the children are trained in acting and singing skills, this one-off opportunity to learn from someone at the top of his profession was a real bonus for them. Jane Maudsley, Principal of Little Voices Blackburn and Clitheroe commented: “We were so lucky that Andrew agreed to take time out of his hectic performance schedule to come and do this workshop for Little Voices, and the children loved it and got so much out of it. To be so close, for a day, to someone this experienced and professional, and have him share his tips, techniques, dilemmas and solutions, is invaluable to the students and we were so delighted to be able to put on the event. There will be many more,” she said. Little Voices offers lessons in singing and acting for children over the age of four. 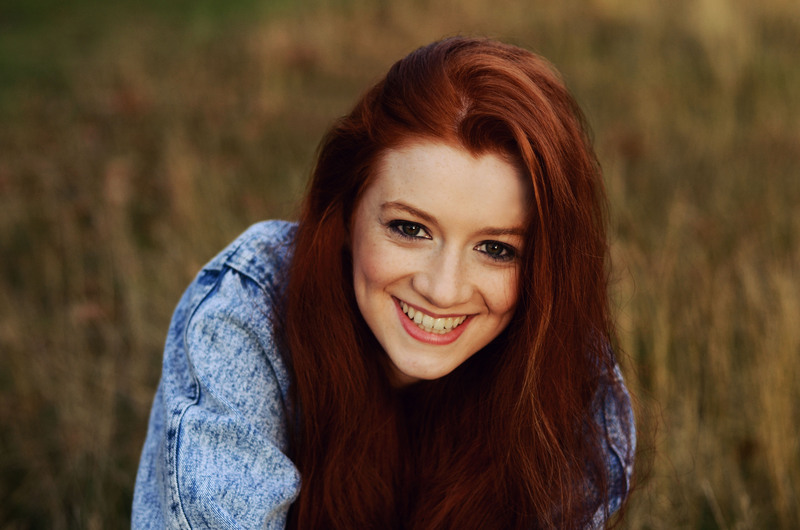 Its students have gone on to gain places in prestigious acting schools and television shows for Channel 4 and the BBC. The professional approach that Little Voices takes to tuition, together with small classes capped at six students, helps students to improve quickly and attain high standards. Having graduated from Loughborough University with a 2:1 in English and Drama, I headed straight to the big city and have been living and working in London for the past 14 months. I was fortunate enough to secure a graduate role working as an Assistant Director for an education company. However recently, I have been offered a position to work full time for Sky Sports, something I have dreamed of for many years. I can’t wait to hit the ground running and learn all there is to know about sport media! When I was eight years old I made a television screen cut out from old cardboard boxes. I used to pretend to be a news presenter and make up stories to perform to my family. Ten years on, I took on the role of Speaker in Westholme School’s public speaking team. My chosen topic was ageism in the media, which focussed on my passion for female presenters and the way they are portrayed in today’s society. Ever since I can remember, I have always wanted to do something in front of a camera, and having now secured a fantastic opportunity with Sky, I hope that one day, I will be the girl behind the news desk, talking about the latest results in the world of sport. I joined Little Voices aged 15. I can’t believe how quickly the past eight years have gone! It only seems like yesterday that I was standing around Jane’s piano singing my favourite show tunes! I attended Westholme School in Blackburn, which was only a short distance from the first ever Little Voices studio. I was massively into the dramatic arts at school so when I found out about the amazing opportunities and coaching Little Voices was offering, me and a few friends jumped at the chance! Attending Little Voices was genuinely one of my best experiences to date. What made you stay and attend Little Voices? This answer is simple. I had SO MUCH FUN! The teaching in both singing and acting was so professional and enjoyable. I learnt so much each lesson and went home feeling like I had accomplished something. My teachers Jane and Claire had such a heartfelt interest in my personal progress, and put 110% into helping me pass each exam with flying colours. Absolutely. I continued to act and sing throughout my three years at university, securing lead roles in Loughborough’s annual shows. Little Voices gave me a huge amount of confidence, which has effectively helped me secure job roles in the media industry. I loved the feeling of learning a new song or performing a new scene. I will never forget my group singing ‘Look At Me’ from ‘The Witches of Eastwick’. We worked so hard on the harmonies for weeks, so when it all finally came together we were all blown away by what we had achieved. The lessons were actually quite emotional. Everybody involved put so much time and effort into creating fantastic exam pieces. It is probably why my memories of Little Voices are still so strong and ones I will never forget. I’m going to cheat a little with this question and pass on some advice given to me by two very special people, firstly by Jane Maudsley herself. Jane always said ‘you can do it Megan, you can do it’, and she was right! Always believe in yourself because if you really put your mind to something, you can achieve so much. Secondly, my Gran always told me to ‘keep smiling’. It is such a simple piece of advice but smiling really does make everything so much better. Thank you Jane and team for my wonderful time at Little Voices. Best of luck for the future!